Just past a hill on the distant side of a cemetery in Oakland, California, they gathered recently around a humble gray tombstone that stands over a mass grave of more than 400 people, most of them children. 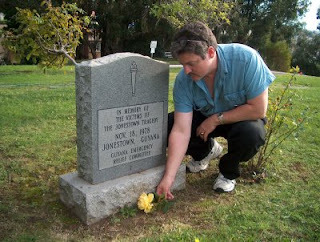 Like last year, and so many consecutive years before that, the grieving relatives returned for another November 18th remembrance of their loved ones that perished in the 1978 Jonestown Massacre. It appears our Big Media couldn't be bothered with this memorial, so you didn't hear a word. To be crowned officially newsworthy, we must have the requisite number pop up - 30th anniversary - and then maybe Jynona Norwood, who lost 27 of her family, can share a new vision (or by then perhaps unveiled it): The Guyana Memorial Wall. More than a shame, the memorial service mass media blackout. And another thing: this very same somnambulant media--most in California--still can't, and won't, manage to wake up to accept ugly, incriminating realities about this tragedy. Their own role in cowering before master manipulator Jim Jones, foolishly allowing this fanged faith healer to pillage and plunder at will until that fateful, climactic date. Yet, amazingly, reporters, especially those that worked during the People's Temple years, continue churning like buttermilk their own wildly successful myth about "no one having anything on the People's Temple," until, SUDDENLY, 1977--an expose in New West Magazine. San Francisco Examiner columnist Les Kinsolving--my father--and Indianapolis Star reporter Carolyn Pickering had the goods on Jones years before that. If publishers and editors had just had the backbone in 1972, or even 1975, there most surely wouldn't have been a Jonestown massacre. But none of the "media pundits" want to admit it, any more than the atrocious new cult apologist "documentary," Stanley Nelson's "Jonestown: The Life and Death of People's Temple." You might even feel the cringe meter fly into the red when you discover the real "untold story" that our Jonestown cast of characters prefers remain untold. Reporters Tim Reiterman and Marshall Kilduff, the two most dashing People's Temple rescuers, lead the "too-little, too-late" pack of California newshounds. Gosh almighty, how they love the Official Story. Don't get me wrong, now; credit to them for their solid work in 77. But when Kilduff writes preposterous lies now about having pursued Jones "early and often," it's beyond inexcusable. It's delusional. The man needs to 'fess up. Listening to him today, or Reiterman, or any other shameless wonder that snoozed on the Jones Express Hell Ride only until the cliff drop is like hearing a rewrite of "The Emperor's New Clothes." Details? All there in the "Madman In Our Midst" link, with the complete chronology. Moreover, legions of public officials faithfully guarded the gates of the People's Temple while the demon Jones was busy inside enjoying his kingdom of hell. The California media have given them the velvet glove treatment, for precisely the same reason as the rest of the disgraceful local journalist community, as lazy and derelict as Reiterman and Kilduff, have contrived their Official Story. "We came away from the People's Temple Agricultural Project with a feeling for its energy and enthusiasm, its creative, wholesome ways." This man of a clearly degenerate cloth failed to show an inkling of Norwood's fortitude. Where she managed to rescue her son from Jones's clutches, Rev. Moore was a People's Temple collaborator who is suspected of turning over copies of a reporter's--my father's - investigation notes to Jim Jones in 1975. 1975. Once again, years before New West, an opportunity to stop the cult nightmare was lost, thanks to unscrupulous characters and cowardly newspapers. These two notorious Jones propagandists, Lane and Moore, will be featured in their own hall of shame segment later in this series in the Jonestown Apologists Alert. They'll be among lots of friends, so they won't be lonely. "FREE KOOL-AID WITH EVERY TICKET!" Fancy that. It seems that only two short days after the grieving relatives had paid their respects at that mass grave in California, some 1800 miles away in Texas, Drafthouse Cinema owners Tim and Karrie League apparently thought this little Kool-Aid pitch would be a fun way to get customers into their very special film showing on Nov. 20-22. Yes indeed, a "special" film it surely is: Director Stanley Nelson's "Jonestown: The Life and Death of Peoples Temple." In fact, MacArthur "genius" fellow Stan has created an undoubtedly ingenious bit of work. It's something, however, that you really ought to see only after a requisite review on cult social psychology. Then again, you can follow Tim and Karrie's advice. Just do the now-popular toast-of-the-town, "drink the Kool-Aid" and climb aboard Lord Nelson's cult apologist love boat. Then you'll find out, through a gamut of expert editing, how "Dad" Jones' "promises" of A BETTER COMMUNITY were, contrary to popular wisdom, actually honored by "Father" Jones. Well, essentially honored, that is, until there was the problem of Jones's abusive proclivities, paranoia, and all the rest that ultimately led to the slaughter in Guyana. The New York Times, like just about all the other media, is doing double somersaults of approval over Nelson's crafty little sideshow, which sounds eerily like the same song they sang while doing absolutely nothing--along with 99 percent of the rest of the media--to investigate left-wing activist Jones in the early 1970's, when he could have been stopped, and lives would have been spared. "In exchange for their life savings, church members happy to work 20 hours a day for the cause were provided comfortable accommodations and given allowances," wrote the Times. "The documentary has clips of euphoric Peoples Temple celebrations in all three locations. [Redwood Valley, San Francisco, and Guyana]"
Church members "happy" to work 20 hours a day? Provided "comfortable" accommodations? Given "allowances"? Really amazing, the power of film. Nelson has really pulled off a coup and the critics, almost universally, have given him a free ride as he's presented this utterly astounding cinematic mirage!...Yeah, there were isolated deviant aspects to the People's Temple, true. but it really was on the whole a fulfilling, integrated, communal joy, ya know. yeah, got spoiled by Jimmy's "bad side" but things only really got BAD at the very end, at Jonestown! Mister Kilduff, step aside. Emperor Nelson has a sparkling new set of clothes to show off. Conservatives have complained often and loudly about liberal bias in the mainstream media. After seeing the Times review, one of the more restrained, I start to wonder. Have ANY major media critics done their homework and confirmed that this film fails the smell test like bad Limburger cheese? It appears at least one does have his suspicions; Entertainment Weekly's Owen Gleiberman, who dismissed "Jonestown: The Life and Death of People's Temple" as a "slipshod doc" that offers "not much insight" and "leaves you with more questions than you went in with." An understatement, if there ever was one, Owen. But a refreshing departure from the chorus of media knuckleheads taken in by masterful, manipulative editing that could have been done by Rev. Jones himself. And now the "buzz line" out of Hollywood has this thing on the "short list" for nomination contenders for Documentary Academy Awards next year. Suggested inscription on Master Illusionist Nelson's statue, should the L.A. Narcissists Society give him this tribute: Most Grotesque Cult Apologist Film In Recent History. "In docu-ganda films, balance is not the objective," an expose of this phenomena by writer Daniel Wood, the author measures what looks a lot like the Nelson Cinematic Yardstick. "The new, one-point-of-view documentary made its first commercially successful debut in 1989, when Michael Moore's, Roger & Me‚ explored the effects of General Motors Corp. on Flint, Mich," wrote Wood, "Since then, Mr. Moore has been turning out personal-viewpoint books and films that continue to produce accolades from liberals and clenched fists from conservatives - Fahrenheit 9/11 - about the Bush administration's march to war after the 9/11 attacks, is the largest-grossing documentary film of all time. "Moore's success, followed by the growth of independent theaters and the development of alternative means of film distribution such as the internet and DVD, has led to a groundswell of similar films. Media observers generally welcome the new diversity of viewpoint, even as they urge viewers to beware." Hmmmm, did he say Michael Moore (another "Moore"?) Maybe somebody could ask Nelson in his next interview about the enhanced personal-viewpoint on-the-job documentary skills he learned being one of Moore's producers on the "TV Nation" television series. 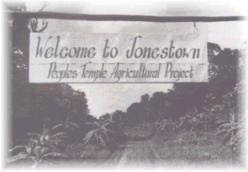 Nelson's company, Firelight Media, issued a "Jonestown" news release that addressed, among other issues, any incoming accusations of his putting a "positive spin on this terrible incident." Nelson insists "our role was not to editorialize. It was to uncover the facts and to present them." Of course, Stan. I just wonder why on earth your "documentary" hid so carefully under the covers so many, many of those "little details" of things at Jimmy's ideal community. Not one word of mention about this "love-filled family's "Blue-Eyed Monster."? You think your audience might have taken some interest in this account from ex-Temple member Jeannie Mills's book, "Six Years With God," who described the "Monster," as related by a 5 year-old kindergarten age girl who had come back into her care. "I got in trouble in the church because I lied, and Father (Jones) said I'd have to go to the Blue-Eyed Monster. Then they took me in this dark room, and the monsters were all over the room. They said, "I am the Blue-Eyed Monster and I'm going to get you..‚ Then a monster grabbed my shirt and tore it open‚" Then all of a sudden the monsters started to say, "I'm going to get you again‚ and then one hit me right here,‚ she said, pointing to her chest. ‚Then it felt like a knife was going right down to my back, and my body started to shake back and forth like this... Then my teeth were tied together so I couldn't open them... I couldn‚t believe it--it hurted so bad." What the little girl had been describing was a darkened room filled with adults armed with cattle prods (which explained the blue electric light). They zapped the child with the cattle prods, then the impact of the electric current would lock the child's teeth together as they were propelled across the room to be hit yet again. This, of course, all took place in California, years before Jonestown, where it evolved into a new torture: "Big Foot," a horrendous series of well-dunkings for the children. So, as Nelson wants us to believe, the cult members (which he rarely, if ever, calls them, you'll notice) while "sharing a lot of love" and having "Dad" Jones "delivering promises" were TORTURING CHILDREN on a regular basis with their "Blue-Eyed Monster." ".....people went along with it because it was a small part of their lives," claims Nelson, regarding "Jim's" (as Nelson likes to call him) behavior, in an October interview with Newsweek. Okay, hate to bring it up again, but this is yet another of those publications the conservatives have branded with "liberal bias." isn't it? Just look at the way Newsweek, a Washington Post-owned publication, soft-peddled this clearly left-wing activist director, allowing him to get away with outrageous falsehoods such as describing the cult's phase in California, where there was fraud, abuse, and torture. Behavioral scientists, from Milgram to Zimbardo, Lifton to Singer, have all conclusively demonstrated how a single person or entire group can be subjugated by a well-structured mind control environment. George Orwell illustrated how this plays out on a grand scale, with the nightmare of an all-out totalitarian society. His inspiration was based a good bit on an iron-fisted leader named Stalin. The demonic Cult of Personality phenomenon. Model for a lot of little Stalins that emerged later, some to rule nations, others to start their very own cults, or in cult apologists' newspeak, "New Religious Movements"
Could it have mattered that Jim Jones started admiring Stalin and studied his totalitarian ways while a college student in Indiana? Certainly not to Historian Nelson. He made sure still another piece of the real puzzle be covered over by his own "intepretive" piece, sprinkling in another euphemism: "Socialist". Careful, though; don't confuse it with the real thing, like practiced in some northern parts of Europe. No, try again, and take a peak at northern parts of Korea. This "socialism" is the jingle that our totalitarians Stalin--and Jones--used as window dressing for the ongoing hell inside their houses. In the People's Temple, long, long before Guayana, Stalinist Jones had triumphed, precisely because he had expertly perfected his own cult of personality, and enslaved his flock through relentless mind control and brutal maintainence tactics. "We had to face painful reality. Our life savings were gone....Our property had all been taken from us....We thought we had alienated our parents when we told them we were leaving the country. Even the children whom we had left in the care of Carol and Bill were openly hostile toward us. Jim had acomplished all this in such a short time! All we had left now was Jim and the Cause, so we decided to buckle under and give our energies to these two." Amazing. One would get the impression that this revealing testimony, even if recounted second-hand (since Mills is diseased), would be an important part of a documentary purporting to show an inside look at what drove these cult members. But Doctor Stan? Naaaw. He knows better than to cloud up his revolutionary view with such needless static. So, his "reality" of the cult that died was, for the most part, quite normal. And cheery, too. "It was something that was sane, rational and made people feel good" Nelson claimed, "He [Jones] told people to invest their welfare check or Social Security check and he would turn it into something that would be so much better than being taken care of by the government, and he did that. That's why sane people joined and stayed." Newsweek joins the herd of other select media sheep in a grim confirmation of that now-infamous sign in the Jonestown Pavillion about history. They still haven't learned, and continue repeating the lesson that con artists--religious, film, or otherwise--are teaching them in gullibility. The only thing that seems to make sense, after watching Nelson's free hogwash tour in interview after interview, is that too much of our media elite simply can't help themselves, and won't suppress self-serving instincts or these allegedly "progressive" biases. Thus, the pathetic lack of any substantive follow-up inquiries that our Mr. Nelson so desperately needs, which would expose his reprehensible whitewash of, for starters, the media's past complicity in helping Jones build his empire; Jones's unmentioned Stalinist overtones; and, most significant, the social psychological dynamics of a cult. At this point, I wouldn't expect a cover story any time soon. Likely the best we'll get is a Nelson "Every Cult Has A "New Religious Movement" Silver Lining!" sequel. 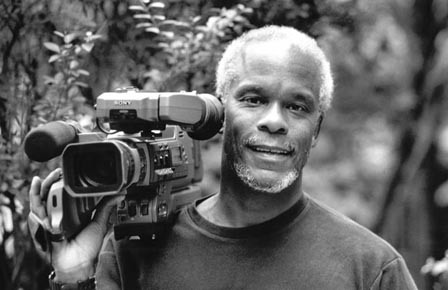 In the upcoming next posting, more provocative aspects of the Stanley Nelson cult film folly will be discussed, all the other critical elements of the People's Temple "life and death" that Nelson inexplicably "forgot" to mention. Then again, maybe not so inexplicable after all. Extremist activists have bad habits of chopping facts in half, out altogether, or radiating them with "interpretation." The same can happen with mainstream media pundits, as we've seen. This is obviously dangerous to an uninformed audience, whose history will either stagnate in fallacy or do a permanent tailspin thanks to some ruthless revisionist. And worth noting, while on the subject of ruthless revisionists, was a curious addition to the Alamo Drafthouse Cinema's online advertising of Nelson's film. It was a paragraph providing details about a lady named Rebecca (are you ready for this??) Moore--one of the film's interviewees--and her devotion to "New Religious Movements", as well as her "interpreting" People's Temple and the events at Jonestown. Impressive indeed. Rebecca's father, interestingly enough, is none other than the Rev. John Moore. Yeah, the very same John Moore, Temple Propagandist, suspected of helping Jim Jones stop a newspaper investigation, two years before New West. And, oh yes--Moore's daughter"Interpreting" People's Temple? Are she and Stan up to something here?? At this writing, in the dawning hours of November 18, 2006, are two milestones. The First: But of course, it's the Apologists Alert official blast-off into this tumultuous brave new blogosphere world. Must confess, am both exhilarated and, yeah, anxious. As much as I am impressed with this user-friendly "create your own website in a jiffy" package, somehow, somewhere, it just feeeels like one of these "friendly" little icons will lunge forward and begin munching away at 29 hours of my "creation". The Second: It's no accident that I'm launching this site today, November 18, the date of a horrendous anniversary. Before September 11 had occurred, did you know that today marks the day--28 years ago, in Guyana--of the greatest loss of American civilian life in a non-natural disaster? Lamentably, it's a good bet that most of these people tossing about the macabre "drink the Kool-Aid" slang are oblivious that today was the day it happened. A deplorable irony. But even more appalling is that a big part of the lesson of this utterly preventable Jonestown Massacre (not a mass suicide, but largely a mass murder) remain clouded. Critical components continue to be buried away from the public. If you think you'll find them in director Stanley Nelson's crafty little new film "Jonestown: The Life and Death of Peoples Temple", forget about it. He's done some real handiwork, this "pronounced liberal activist". Not only has he condoned the army of shameless public figures that helped create the Jim Jones Frankenstein, but Nelson actually does a brilliantly executed positive spin on all this. Apparently, he was deeply enamored by "Jim's" (as Nelson has referred to him) great dedication to social activism. Thus, a reprehensible cast of "Jonestown Apologists" continue promoting denial about the full reality of Jim Jones's nightmarish cult. Like editors of National Enquirer, Moore and McGhee have cooked up a spectacularly corrupt blend of fantasy and reality. As this day progresses and the grieving relatives share their pilgrimage to Evergreen Cemetery in Oakland, California to remember their loved ones, from the babies to the elderly that were senselessly slaughtered in South America, I begin work on a series of exposes. The first will spotlight Lord Hollywood Nelson's cinematic smoke & mirrors that reveal his subtle church pastels softening the harsher edges of the Jones Gulag, sweetened up with a foot-stompin' score of gospel and R&B tunes. The Cult That Rocked? There's so much more in this sordid saga--a house bursting with many, many other unscrupulous, deluded characters, past and present, that have stowed away here in this People's Temple Hall of Shame.